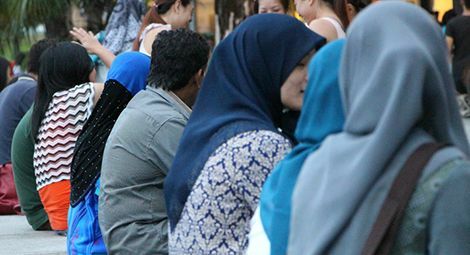 The Human Rights Commission of Malaysia also urged the government to establish a special task force to investigate the disappearances, introduce police reforms, ensure a clear demarcation between the police and religious authorities, and ratify the International Convention for the Protection of All Persons from Enforced Disappearance and the International Covenant on Civil and Political Rights. Over the past three years, several pastors and social activists have disappeared in Malaysia. On 24 November 2016, social activist Amri Che Mat, disappeared after he left his home at 11.30pm. Less than three months later, on 13 February 2017, Pastor Raymond Koh was taken from his car at 10.45am by 15 men dressed in black clothes and balaclavas, who surrounded his vehicle in three black cars. Eyewitness reports and CCTV footage suggest that Pastor Koh was abducted by professionally trained men. In November 2016 another Christian couple, Joshua Hilmi and his Indonesian wife Ruth Sitepu, also disappeared. A public inquiry into the disappearance of Pastor Koh was established by the Human Rights Commission in October 2017, and a similar inquiry into Amri Che Mat’s case began in January 2018. Today the panel, chaired by former Court of Appeal judge Mah Weng Kwai, published its ‘final decision’ on both cases, concluding that there were several “common features” between the two cases. Amri Che Mat was born and raised as a Sunni Muslim but, in the words of the inquiry’s decision, “later took an interest in Shi’ism”, which is illegal in Malaysia. He founded Perlis Hope, an organisation assisting the poor regardless of race or religion, but the authorities suspected it to be a Shi’a organisation. Pastor Koh, previously a pastor at the Evangelical Free Church in Petaling Jaya, founded Harapan Komuniti (Hope Community), a non-profit organisation that undertakes social and charity work among marginalised and underprivileged communities, including people living with HIV/AIDS, recovering drug addicts, single mothers and their children. In 2011, a dinner organised by the NGO was raided by 30 officers from JAIS (Selangor Islamic Religious Department) and the organisers were accused of ‘proselytising Muslims.’ Although no one was prosecuted, Pastor Koh’s family received death threats in the aftermath. 1. Click here for more information on the final decision of the public inquiry into the case of Amri Che Mat. 2. Click here for more information on the final decision of the public inquiry into the case of Pastor Raymond Koh.